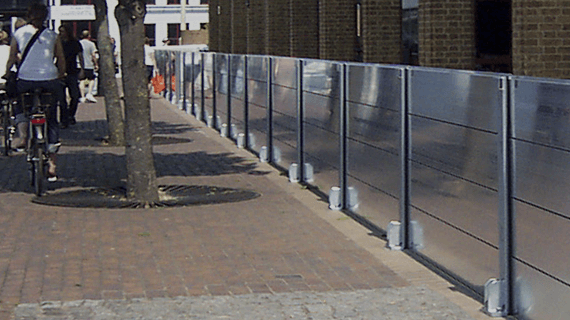 What Is The Best Flood Control Barrier Solution For You? At Flood Control Asia RS, we provide state-of-the-art flood control products guaranteed to give protection not only to your properties and businesses, but more importantly, to your loved ones. The RS Inero Mobile Flood Barriers are portable, lightweight, and temporary. 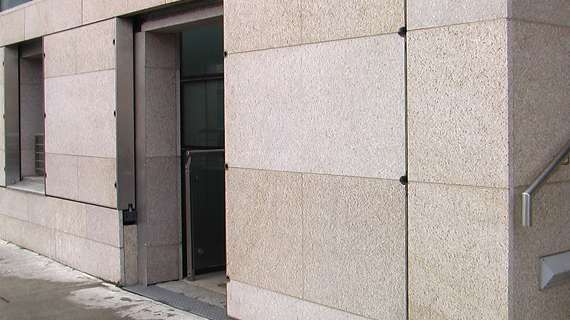 However, they are also known as ultra-durable flood water barricades that can withstand any emergency situation! 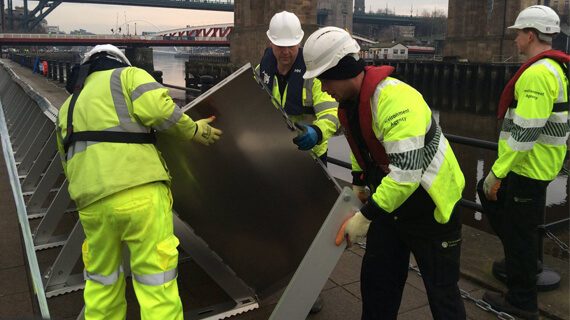 Fully removable flush-finish perimeter demountable flood defense - flood depths up to 4m high, ideal for wide area defenses against flood damage. 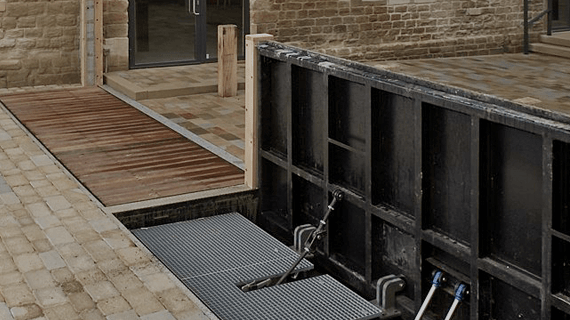 Swing-Hinged Flood Gates are ideal for opening where there is a step or ramp. Designed to provide flood protection or chemical containment in bundled areas. 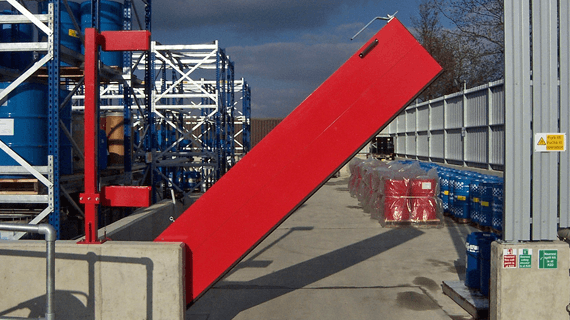 Easy to use lift-hinged floodgate suitable for roads, vehicle and disabled access, flood depths up to 1.85m as standard. Dependable overhead drop-down barrier ready to be activated at a moment’s notice. Can be operated manually or automatic with rising flood waters. 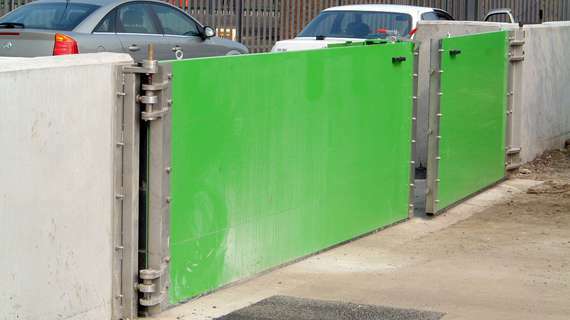 Fully automatic flood barriers that fully recess into the ground. 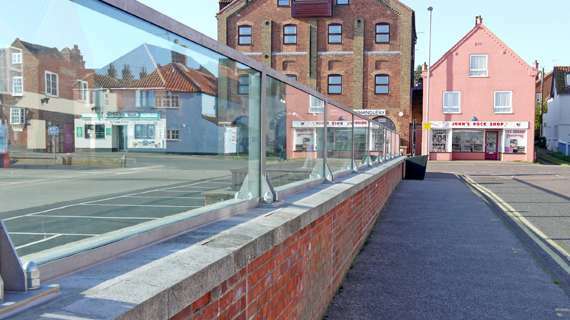 Designed for pedestrian and vehicle entrances, or anywhere where unrestricted level access is required. Protection against spillages or fire-fighting run-off. Containment can be Gas-Lift Pivot barrier for vehicle access or Hinged Gate Containment Barriers. 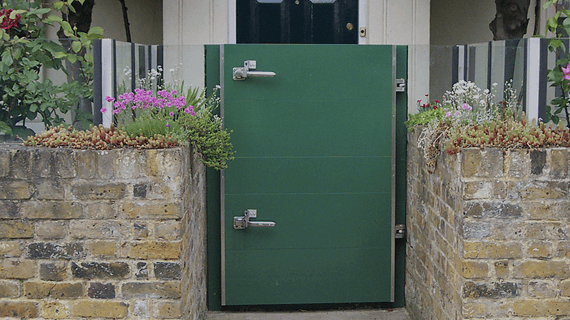 Hinged or sliding, our Heavy Duty Flood Doors are individually designed for each requirement. Designed to incorporate automation of closure, locking and monitoring status where needed. 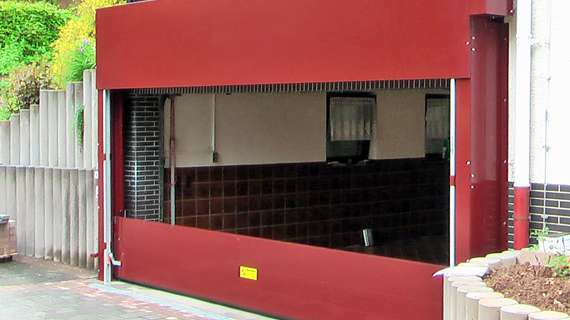 Engineered glass flood walls are the ultimate unobtrusive permanent flood defense. Full time permanent defense with no operation costs.